At National Tyres and Autocare we believe in the convenience driving can bring to individuals, families and businesses. 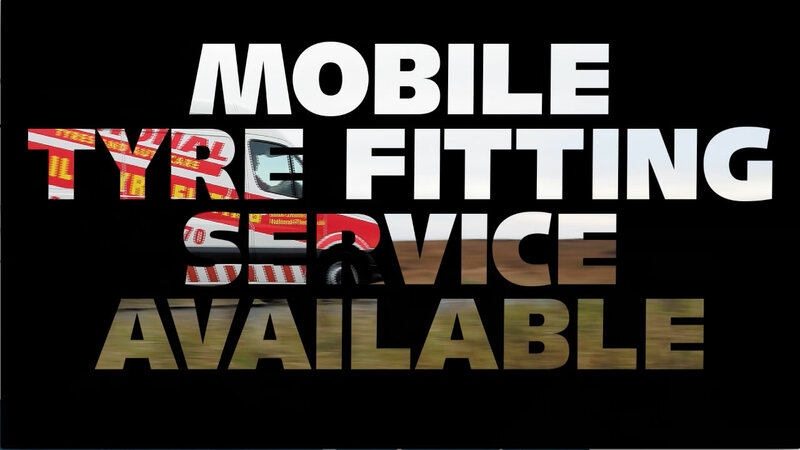 We are committed to keeping you on the road and with our dedicated mobile tyre fitting service we can reach you wherever you are. 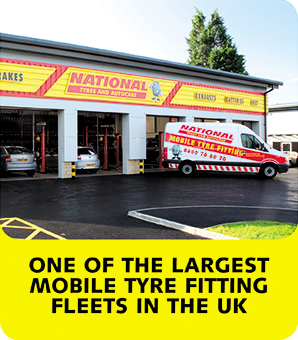 National Tyres and Autocare continue to increase their fleet of mobile tyre fitting vehicles every year meaning that we can offer this service in more locations throughout the UK. Each mobile tyre fitting vehicle is fuel efficient and reliable. The interior includes air jacks, blast cages, digital tyre pressure systems and LED lighting. 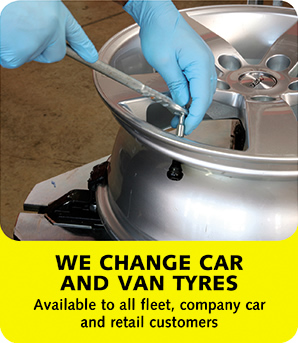 Each tyre fitting expert is equipped to change tyres up to 24”, which allows us to provide the service to a wide range of vehicle types, from vans to family cars and some 4x4s. In addition each vehicle comes equipped with on-board power, compressors and adjustable tyre racking- and as the mobile tyre fitting vehicles produce less noise pollution than a standard vehicle we are proud to say they are kinder to the environment. Booking the National Tyres and Autocare mobile tyre fitting service couldn't be easier. Simply choose the tyres you require from the tyre search field above and add to the basket. Review your order for any additional items then check-out to purchase. On selecting a location, customers then have the option to have the tyres fitted at their nearest National Tyres and Autocare branch or they can select a time and date for one of our mobile tyre fitting experts to visit. Customers can enjoy the convenience of picking the location; if you don't have time to leave the office a member of our team will happily meet you at a place of work. Many of our already satisfied customers enjoy the freedom of having their tyres changed from the comfort of their own home. Of course this mobile tyre fitting service is just one of the benefits of choosing National Tyres and Autocare as your preferred tyre specialist. Browse our great range of tyres and book your appointment today. Normal operating hours are 8.30am-5.30pm Monday to Friday and 8.30am to 12pm on Saturday. Service outside of these hours (if available) may incur a surcharge. Minimum order two tyres (surcharge applies depending on location). No surcharge applied to orders of three or more tyres.